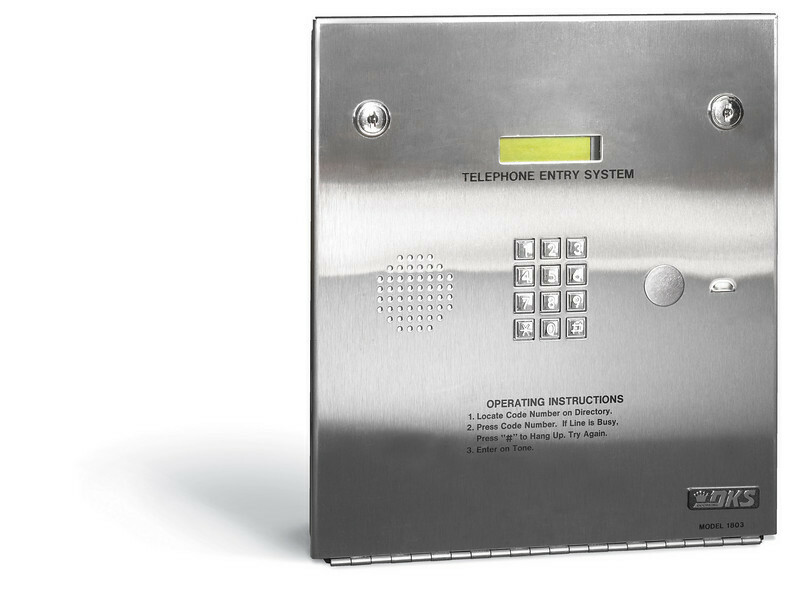 The model 1803 is an ideal telephone entry system that is loaded with features and is suited for applications that do not require a directory or in applications where a separate directory exists. This unit is available in both surface and flush mount configurations. Visitors are easily identified by voice communication and can be granted or denied access directly from a touch-tone telephone.